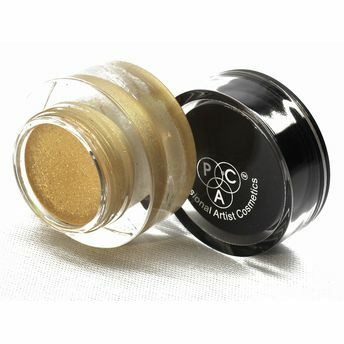 A creamy eye base which provides an ultra-gold shine as an underboss for your eye makeup, the PAC Eye Base Gold has a subtle shine that will help you get the desired impact of your eyeshadow color. A universal shade and can be used with any eyeshadow color.it does not change the color of the eyeshade. A base that helps to keep the stay of your eyeshadow for a longer time. Additional Information : PAC Cosmetics is a professional makeup artist brand with an aim at bringing the highest quality, innovative cosmetic products to all makeup lovers and professional artists. The brand is known for their wide range of trendy makeup products, tools, brushes and accessories. Try PAC Eye Base Gold now! Explore other options for Eye Primer here. Explore the entire range of Eye Primer available on Nykaa. Shop more PAC products here.You can browse through the complete world of PAC Eye Primer .Alternatively, you can also find many more products from the PAC Eye Base range.